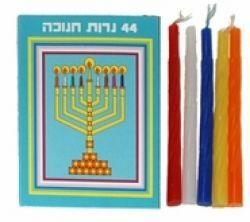 These are the old fashioned Chanukah/Hanukkah candles in the blue box. They are 4 inches tall and from Israel. HAPPY HANUKKAH! Each box contains 44 Candles.